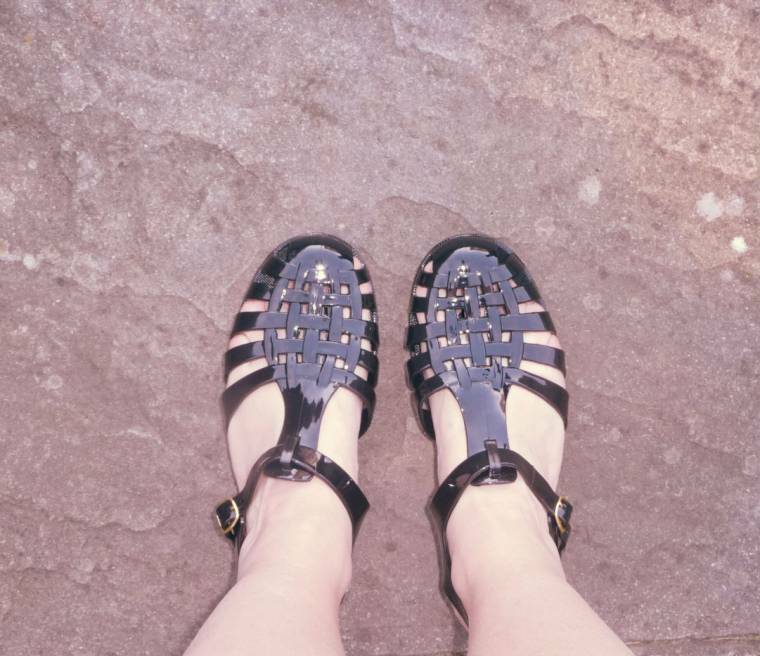 Jelly Sandals: Next Big Trend? 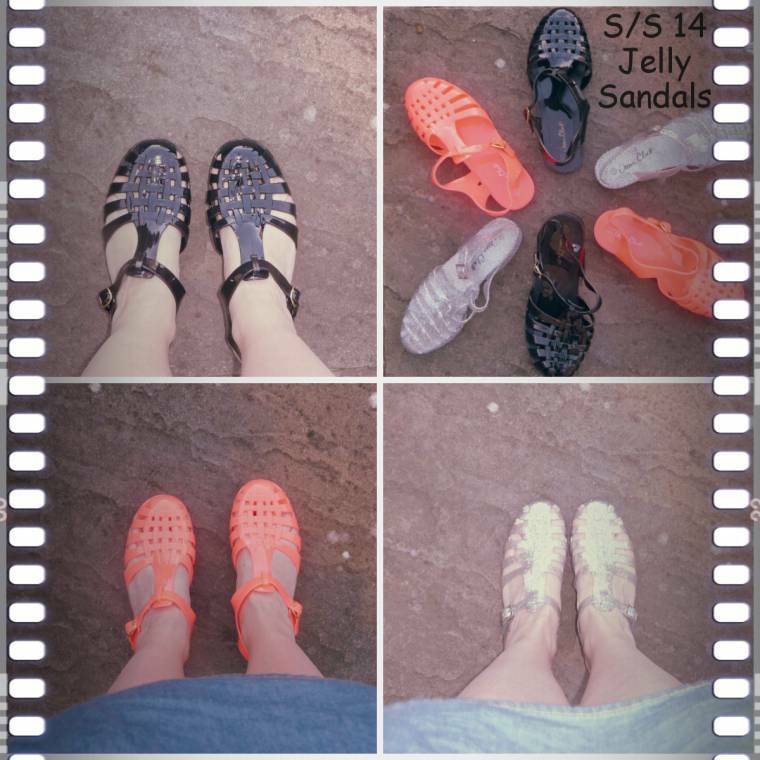 Remember wearing the jelly shoes and sandals or shoes when you was younger? I remember wearing them around the 80’s and my children wearing them when they were little too.I had the big holey see through plastic bags too, loved them!! They brought them out for adults last year but are set to be a big trend this year as they are everywhere I look! Not brave enough last year but at a bargain price, I will try any fashion trend. I have seen all colours around and mostly priced between £9.99 -£19.99 but when I stumbled upon them today in Primark at £4.00 a pair, I had to buy some. Which colour fluorescent, no black, no glitter…what to do? oh well, I bought all the colours they had in!! If I get on with them ok, I’m going for the style with a chunky heel next. "Butterfly Paradise : Wordless Wednesday Blog Hop…"
I remember having them as a child too….I loved mine! I like the Silver ones….. 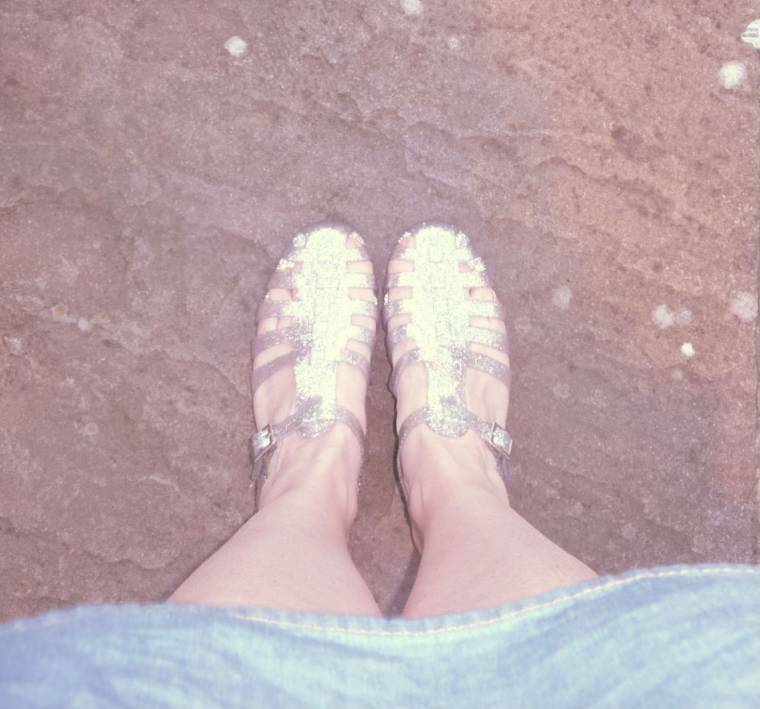 I loved wearing them…of course, I was an adult in my early twenties, LOL. They were so fun, and so affordable. I find the ones for sale now are pretty pricey! I love the silver shoes and yes my daughter wore them all the time when she was little one the summer! It brings back memories! The silver are my favorite! mine keep breaking! do yours? Hi Nikita, to tell you the truth I have only wore them a couple of times each, as I'm waiting for summer and more sunshine. 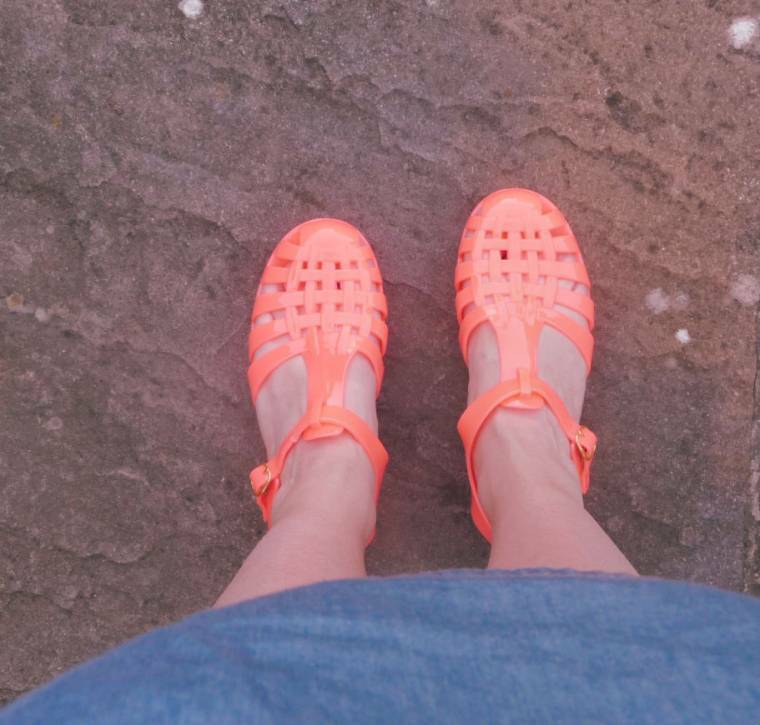 I wore my black ones again yesterday ( in today's post) and they are ok up to yet. Where are yours breaking? if you have only wore them a few times I would take them back to the shop? I will be very unhappy if mine break ! !